The P120C rocket motor that will be involved with both the Ariane 6 and Vega-C rockets has been static fire tested for the first time at Europe’s Spaceport in French Guiana. The firing occurred early on Monday morning on the BEAP test bench for solid rocket motors, operated by the French space agency CNES. The P120C is 13.5 meters long and 3.4 meters in diameter, contains 142 tonnes of solid propellant and provides a maximum thrust of 4615 kN (in vacuum) over a burn time of 135 seconds. 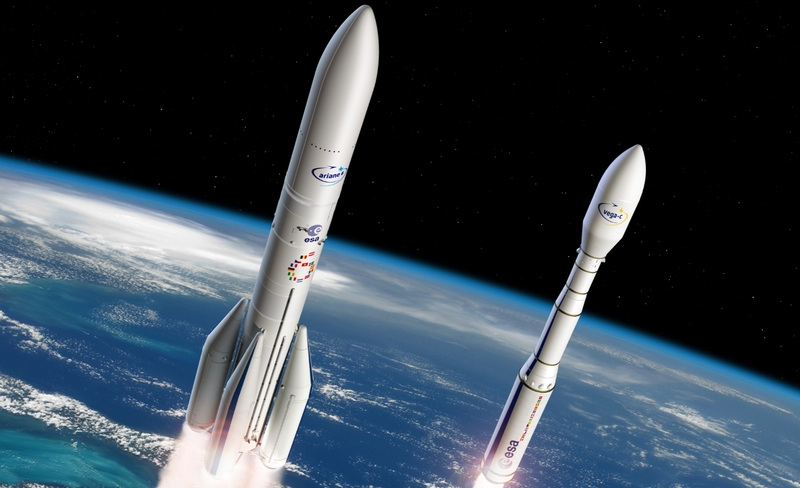 It will provide the first stage for the Vega-C and the side boosters – between two and four – for the larger Ariane 6, both of which will take over from their old variants in the coming years, potentially allowing for a maiden launch in 2020. While there is a commonality between the two rockets with the use of the same motor on each vehicle, the P120C also has synergy with the current P80 first stage motor on the Vega in use today. In the run-up to the test, all the main components of the motor – such as nozzle, igniter, solid propellant, and insulated motor case – had already been tested separately. “This static firing is designed to prove these technologies, materials and production techniques in combination and validate the behavior of the assembled motor,” noted ESA ahead of the test, adding sensors will gather about 600 measures during the static fire. Unlike a lot of solid motor tests, this firing was conducted in a vertical position on the test stand. The test facility was modified or developed to accommodate this large motor. While the former Shuttle and current Space Launch System (SLS) solid motors are much larger, and static fired in the horizontal position – they are assembled in segments. Likewise, the Ariane 5 side boosters are also constructed in segments, with the casings mated during integration. ESA note the P120C, co-developed by ArianeGroup and Avio, on behalf of their 50/50 joint venture Europropulsion, is the world’s largest monolithic carbon fiber SRM. 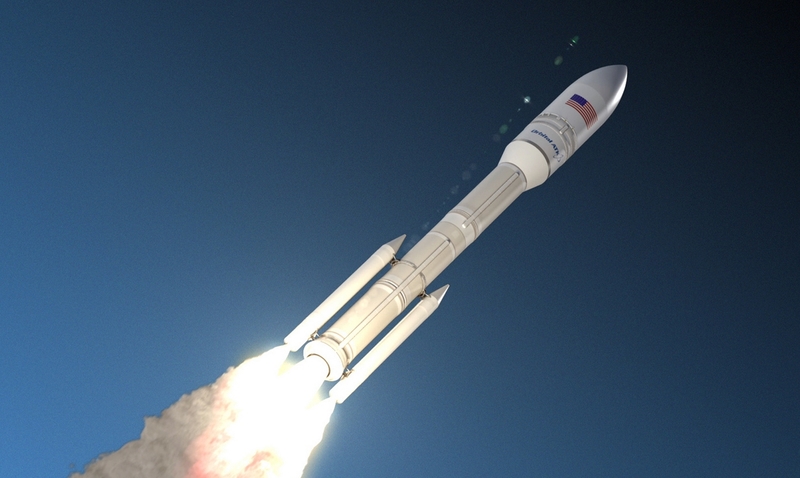 Its nearest rival is likely to be Northrop Grumman’s Castor 300, which is based one segment of the Space Shuttle Solid Rocket Booster design and is intended to be used as the second stage of the Omega rocket. That is expected to be 12.69 meters in length, still short of P120C’s 13.5 meters. The Ariane 6 will be an evolution via integration streamlining and innovated design changes are major elements, which will play into reducing costs. The Ariane 6’s Vulcain 2.1 engine is built with fewer parts while holding a greater efficiency, while the improved Vinci upper stage will allow for additional orbital destinations for more flexibility via a wider reignition capability. It will operate in two configurations: Ariane 62 is fitted with two P120C strap-on boosters while Ariane 64 has four. While Vega-C will continue to launch from the current Vega pad at the spaceport, a new launch pad complex is being built for the Ariane 6, called ELA-4. For a launch campaign, the core stages will be integrated and prepared horizontally in the Launcher Assembly Building, less than a mile from the launch zone. The central core is then moved to the pad and erected vertically in the mobile gantry. There, the boosters, payloads and fairing are added, before the mobile structure allows for platforms to access the different levels on the pad. The gantry is moved shortly before launch. 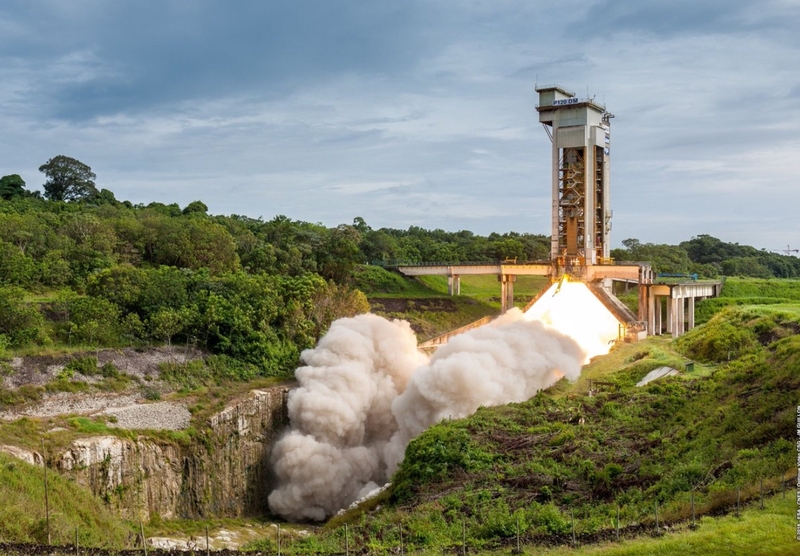 Two further test stand firings will follow to qualify the solid motor before the first flight of Vega-C in 2019 and that of Ariane 6 in 2020.